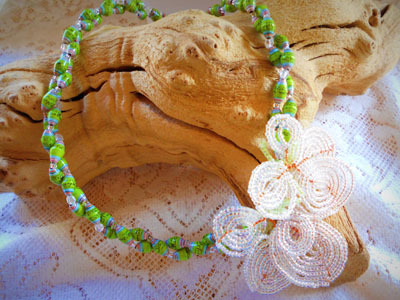 I am sharing with you today the work of Linda Barnett. 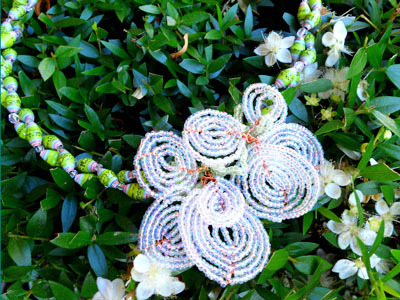 Aside from her new hobby of making paper beads, she makes these beautiful beaded flowers, a craft that she learned from her grandmother. Linda lives in the U.K. but was kind enough to send me her beautiful flowers, it is not too late for us to be wearing these. 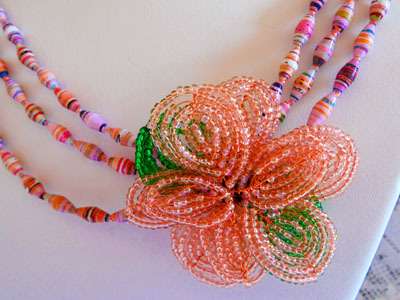 The flowers had stems, but Kayla and I thought that it is better displayed on strands of olive shaped paper beads. 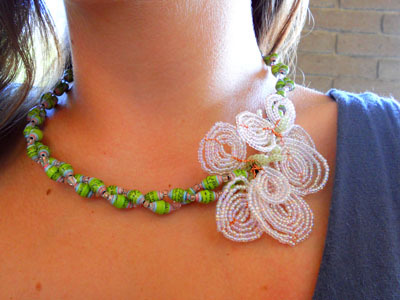 The olive shaped paper beads were just strung on a beading wire and the flowers were just wire wrapped into the strands. 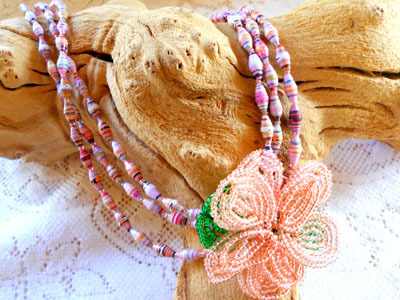 How about a head band made out of paper beads and these flowers on top? Another day of turning ordinary into extraordinary!